The grandMA3 8Port Node is the largest Ethernet to DMX converter from MA Lighting. Specifically designed to synchronously output 8 DMX universes from any grandMA3 session, the 19”, 1RU housing is suitable for touring and fixed installations. 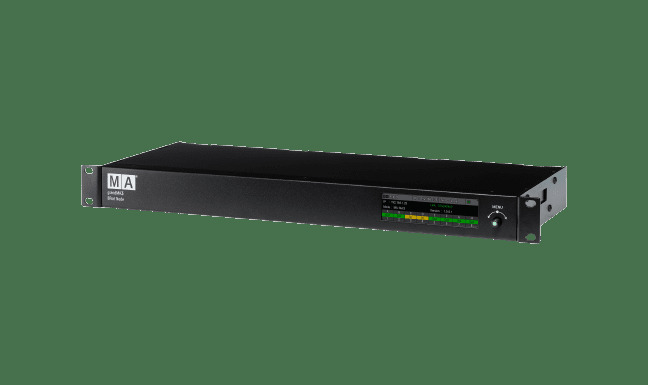 Every grandMA3 xPort Node is designed for the ever-increasing demands in touring and fixed installation applications to build a reliable and stable backbone of synchronized data transportation. All Nodes are remotely configurable from any console/onPC within the session to provide easy access to DMX output or DMX input. 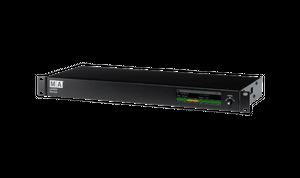 Every grandMA3 xPort Node is capable of handling MA-Net3, MA-Net2, sACN and Art-Net data and is fully RDM compliant. A 3.9" color display on the front face allows for simple configuration and provides a quick overview of the status of each Node. All grandMA3 xPort Nodes are equipped with a powerful processor and a 1000Mbit/s Ethernet connection to ensure the most reliable and stable Ethernet to DMX and vice versa conversion.